If you want to learn just how much our professional end of tenancy service will cost you, call our 24/7 client assist. It is possible to do that by simply calling 020 3404 0500 or by utilizing the online contact form. The experienced and efficient cleaning staff comes at your property or home with necessary devices, tools, treatments and other equipment to clean it from top to bottom. You must have moved out your stuff before the tenancy cleaning can be done. This service has no time limit. The team helps keep cleaning until every object in the cleaning checklist has been completed. Our post tenancy cleaning organization provides you this service with a forty eight hours client satisfaction assure. Your property manager or landlord will do an inspection of the property just before giving their bond back to you personally. Excellent Carpet Cleaning is specialised in providing a efficient and top quality move in and out cleaning service. All of our specialists are employed based on personal recommendations and are carefully vetted and skilled. Through the many years of practical experience in tenancy cleaning, our end of lease cleaning company has created a really detailed cleaning checklist for the move out cleaning service, which handles any products or locations which could be checked by a landlord or property owner for hygiene. We have spent in buying the perfect qualified cleaning machines, tools and alternatives for the ideal results. Our bond back cleaning will ensure that not a cent of your own tenancy deposit is keep back for cleaning services of your landlord or rental property manager. To make sure that no cash is withheld for cleaning prices by your property owner, reserve our professional and high quality assured end of tenancy cleaning service right away! 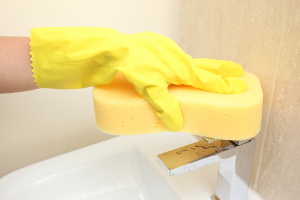 Reserving our tenancy cleaning service will just take several minutes. Possibly call 020 3404 0500 or send us an online order right here. Our customer care staff are there to suit your needs 24/7, so you will be obtaining written verification quickly. You don't need to make an advance payment for reservation, and we will not ask you to spend any hidden charges once we are done with the cleaning. Our charges are fixed as well as clear. You can obtain a huge discounted price from the prices of our services, by reservation 2 or more of them simultaneously. Additionally, in case you book our service quick on in time, if you are a regular client or a owner or property agency, we will provide you our unique preferential costs for our services. Do not think twice to reserve our top quality guaranteed, professional tenancy cleaning service now!